There are still some high profile summer movies yet to come – “Rise of the Planet of the Apes,” “30 Minutes or Less,” um… that one where the kids all cheat death but then die anyway, which feels a bit pointless as a concept to carry five films, but here we are. Nevertheless, most of the season’s high-profile films have no opened, including a long-awaited adaptation of a popular series of graphic novels and helmed by one of Hollywood’s top directors. But enough about the “Smurfs” movie. Personally, I think they made the CG look too realistic. But I’m not the target audience, I know. As with every big blow-out collection of Hollywood films, Summer 2011 releases had a number of mobile apps and games come out as tie-ins. Almost none of these movie tie-in apps ever becomes popular. And this year’s crop will likely do little to reverse that trend. 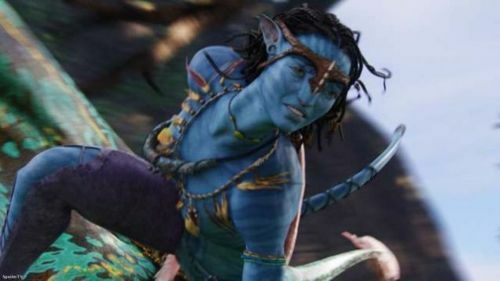 Hence Ranker’s Evan Hoovler’s decision to scrape the very very bottom of the barrel, for this list of The Worst Game Apps Based on 2011 Summer Films. There’s a ton of obnoxious non-entertainment to be found here, but perhaps most egregious? The “Kung Fu Panda 2” staring contest app. 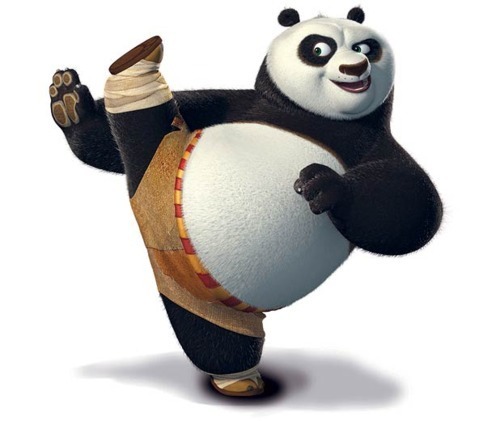 Hey, kids, want to have awesome kung fu adventures with me, Po? Too bad. This app is just about staring straight ahead. Yes, it’s an app where Po, the improbably panda kung fu master, challenges you to a staring contest and then…proceeds to stare at you. There aren’t even hilarious asides, like when Andy and Conan used to do this on those old “Late Night” sketches. Nope, just an anthropomorphized bear using its cold dead 3D eyes to bore a hole straight through children’s souls. Last night, it got really quiet, and Brian thought he could make a break for it, but he was only about 20 feet out the door when one of the cars got him. He made it back inside and seemed okay, but he’s…different somehow. Changed. This morning, I thought I caught him sipping on motor oil and making “vroom” noises, but it could just be the stress getting to me. I haven’t been sleeping. We’re going to continue to wait, for as long as we can last. In the meantime, Ranker users outside of LA, who managed to escape this dys-autopian nightmare have made some lists about other stuff that happened this week. Check ‘em out. This week’s hot new music startup was Spotify, the subscription music service that’s already been a big hit in Europe and has FINALLY landed on American shores after working out deals with all the record labels. Users can stream music to their computers for free (with ads), pay $5 a month to dump the ads or $10 a month to stream music to their mobile devices. The library is pretty amazing, but before you dive in and start collecting your favorite post-pop-emocore-abilly songs into a playlist, check out these Spotify Tips, Tricks and Hints to make sure you’re, you know, doing it right. Can you imagine if you were sharing that Best Reggae Jams playlist publicly, and accidentally had left some Rocksteady in there? Shock! Horror! PS: Still can’t get in to Spotify? We also have some thoughts on Turntable.fm. Which is open to everyone! Good news, everyone! New Jersey resident and soon-to-be-national hero Donna Simpson, who currently weighs in at a solid 700 pounds, has announced her intention to gain the additional 300 pounds needed to secure the world record! Plus she’s promised to do most of the actual required eating in front of a webcam, so all of us amateur gluttons can enjoy her achievements vicariously. If this all sounds vaguely familiar, it’s probably because Homer Simpson (no relation…probably…) hatched a similar scheme back in the ’90s, with somewhat disappointing results. To commemorate Donna’s historic attempt to eat a metric ton of bacon, Ranker user Barbara Gaston threw together this list of Great Historical Gluttons. Hey, she’s sharing a list with Elvis Presley! The King! It’s a compliment! Tons of new movie trailers debuted this week, in part because a new “Harry Potter” film opened, so they know a lot of people will be in theaters waiting to see if the kids get back to the Shire. (That’s what it’s about, yes?) They’re all on our 2011 Movie Trailer list, including this new spot for Martin Scorsese’s 3D adventure story “Hugo.” LET’S WATCH! 5 years ago this week, Twitter (then called Twittr) was introduced to the public. Hard to believe it’s been that long! Before then, if you wanted to know what someone had had for lunch, and if it was delicious, you’d have to actually call them up and ask them! Not that anyone ever did that. Because, really, let’s be honest, who cares? But still…Twitter…woooo! There are, after all, lots of historic, awesome, funny and important tweets worth remembering. 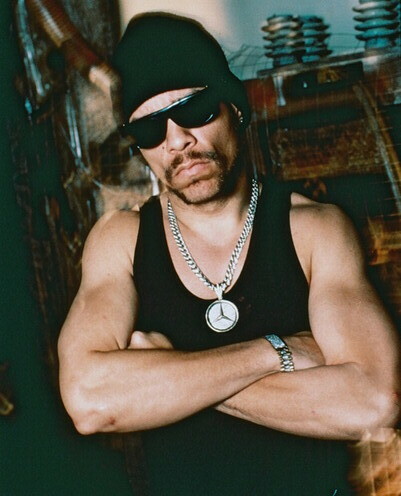 Like that time Ice T insulted singer Aimee Mann with language we would not dream of repeating on a corporate-type blog. Aimee Mann can eat a hot bowl of…oh, hey, kids, stay in school!